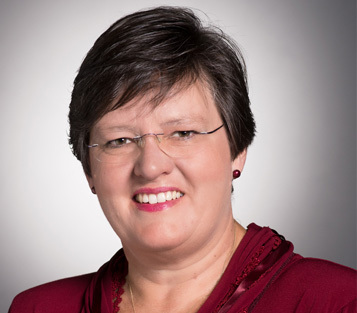 Professor Sheryl Hendriks is a food security policy expert with extensive experience in policy analysis and programme design. Her research focuses on food security and nutrition policy analysis and monitoring and evaluation of food security at the household, national and global information system level. She teaches food security policy analysis, monitoring, and evaluation. She is actively engaged in high-level global food security policy think tanks and panels as well as being influential in food security and nutrition policy circles in Africa. Some of these engagements include serving two terms on the UN Committee on World Food Security’s High Level Panel of Experts on Food Security and Nutrition and as a current member of the Montpellier Malabo Panel. She led the food security component of the African Union/NEPAD Comprehensive Africa Agriculture Development Programme form 2007 – 2010. Sheryl is a transdisciplinary specialist, leading, facilitating and coordinating large research teams focussed on finding solutions to complex food security and nutrition-related problems. She leads the University of Pretoria’s Institute for Food, Nutrition and Well-being, bringing research together from over 35 academic disciplines at the University. The Institute partners with 39 local and 46 international partners. Prof Hendriks has made the single largest contribution to capacity building for food security in Africa, having trained, mentored and supervised graduates and professionals from over 18 African countries, establishing a large network of graduates. Many of her graduates occupy leading positions in international development agencies, continental bodies, national governments and NGOs.